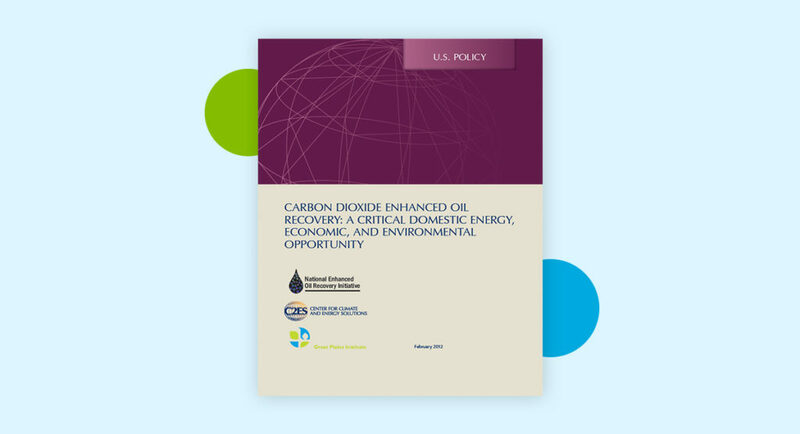 The United States can achieve major economic, security, and environmental benefits by pairing our existing crude oil and agricultural industries together with carbon management technologies. To accomplish this, interests and industries that have not often worked together are aligning themselves to pursue strategies and policies that will increase deployment of these technologies, known collectively as carbon capture, utilization, and storage (CCUS). 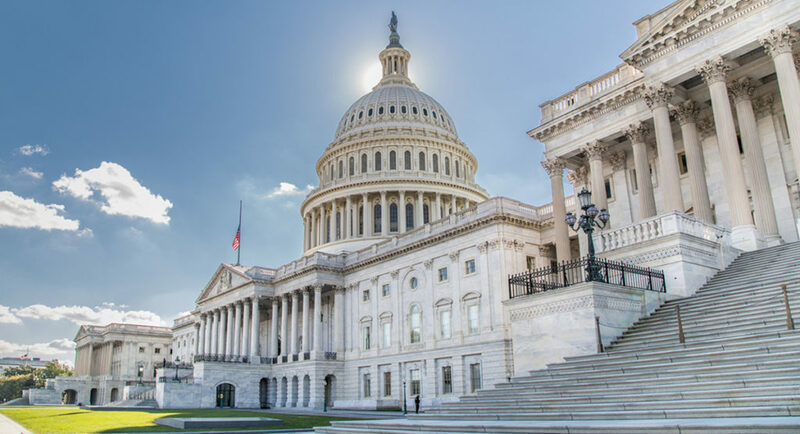 There is a growing, bipartisan call for federal support of CCUS, including a bill introduced by Senators Heidi Heitkamp (D-ND), Shelley Moore Capito (R-WV), Sheldon Whitehouse (D-RI), John Barrasso (R-WY), Tim Kaine (D-VA), Lindsey Graham (R-SC) and 19 other original cosponsors that would extend and reform a key tax credit called the 45Q Carbon Sequestration Credit. As stated by NEORI, “the Furthering carbon capture, Utilization, Technology, Underground storage, and Reduced Emissions (FUTURE) Act will accelerate commercial deployment of technologies to capture CO2 emissions from power plants and industrial facilities for use in enhanced oil recovery (CO2-EOR).” One of the most exciting opportunities that could be achieved with 45Q would be to attract investment in projects that capture recycled CO2 from ethanol plants, which produce a near-pure CO2 stream, for use and storage in CO2 -EOR projects. There are billions of barrels of domestic oil yet to be recovered in the lower 48 that could cut the trade deficit and reduce our need for foreign oil while generating significant employment and tax revenue. To date, the life of 120 oilfields in the United States is being extended by decades through the injection of CO2. Using a 20% net tax rate assumption on $50 oil, these fields add over $700M in tax revenue yearly not counting W-2 and royalty income. We have a window to add significantly to this revenue and tax stream while mitigating six million Mt/y of CO2 from the atmosphere by supporting the proposed federal 45Q tax credit. The opportunity is at hand to extend the technology developed over the past 30 years in these oil fields to others should the Congress pass the 45Q tax amendment legislation. The bill can provide critical support for carbon capture projects and the use and storage of CO2 through CO2-EOR if passed. To date, 95% of the CO2 used for EOR is from geologic sources because there is a lack of readily available, man-made CO2 at an affordable price. A tax credit like 45Q could help power and industrial plants to capture and provide their CO2 for use and storage in oil fields, which could significantly eliminate atmospheric carbon. This includes ethanol plants, where recycled CO2 can be captured and transported via pipeline for use (i.e., increasing oil production) and stored in targeted oil reservoirs. What is meant by recycled CO2? When someone bakes bread in an oven, what is produced and used in the process that you don’t eat? Yeast produces CO2 making the bread rise, and this organism excretes alcohol which is burned off. The process is thousands of years old and releases CO2 that started with the photosynthesis cycle. Hence, when a CCUS project sources CO2 from an ethanol plant utilizing a similar yeast conversion process, carbon is truly being mitigated (eliminated) and the carbon footprint of this new, renewable gallon of fuel has dropped significantly. Another benefit of sourcing CO2 from ethanol facilities is that, in most cases, the CO2 is 99.9% pure when it is recaptured from the CO2scrubber at the plant. The Challenging News. The ethanol production (and source of near-pure CO2) corridor is not close to most significant deep oil basins appropriate for EOR and storage, and both CO2 compression and large high-pressure pipelines are expensive. The price the oil producer can pay for compressed CO2dedicated to a tertiary project when oil is under $80 will not justify the expense of compression, transportation, and injection of the CO2 from this origination point in question. While capital is plentiful, it is also selective going where it is most wanted based on perceived risk. While significant new oil and tax revenue will occur from CO2-EOR, these cash flows, though lasting for decades, will not be seen for several years after the project is initiated and time is risk to the investor. The tax credit being discussed (45Q) would act as a risk mitigant and be the incentive to attract private capital to establish CO2 pipeline corridors. With the United States running a large deficit, structures need to be created to remove federal budget burdens and increase private sector incentive to invest available capital. This tax incentive plays this role perfectly. Congress passing the extension and reform of the 45Q tax credit creates a no-lose proposition that should be pursued. Because 45Q is similar to a production tax credit, there are only rewards if projects reach completion and there is no cost to the federal government if they do not move forward. For investors, if the ultimate project economics don’t pencil, they will not spend large capital and invest in CO2 capture projects. Industry hires people well (taxpayers) to capture opportunity and are not allowed to operate at a deficit (for long). Congress should set the framework for U.S. industries to pursue these opportunities that can create significant security, environmental, and economic value for the country. About Eric Mork: Eric Mork has been engaged in the energy complex since 1981. Working 18 years for Koch Industries, Inc. an integrated refining company, becoming vice president of the northern division of Koch Oil Company with responsibilities including crude oil purchasing, trading, and transportation. During this time, relationships were built with the crude oil production community including companies operating carbon dioxide driven enhanced oil recovery assets. In 2001, Mork joined ICM, Inc. and became Director of Business Development through 2010 and the industry buildout when ICM sited, designed and/or built 103 ethanol plants in operation today in the US and Canada. Mork rejoined ICM in 2015 and in the interim was consulting in various capacities with energy services companies engaged in ethanol technology offerings and a company based in Calgary specializing in the use of nitrogen and CO2 for the fracking of shale formations in lieu of traditional hydraulic methods. 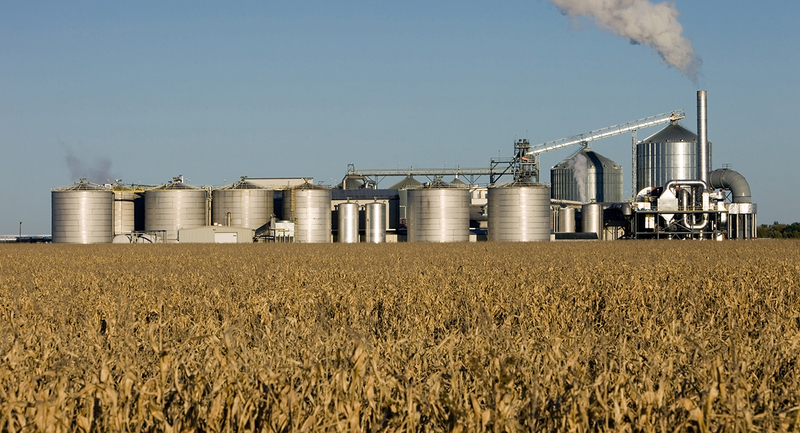 Since rejoining ICM, his focus has been the introduction of technology and economics associated with converting cellulosic corn fiber to ethanol to increase the per bushel yield at existing ethanol plant assets. Mork is a participant in the National Enhanced Oil Recovery Initiative as part of his work through EBR Development, LLC which uses 35 years of energy industry project development experience to create bridges, connecting previously diverse fuel and carbon sectors into value for clients and the nation. 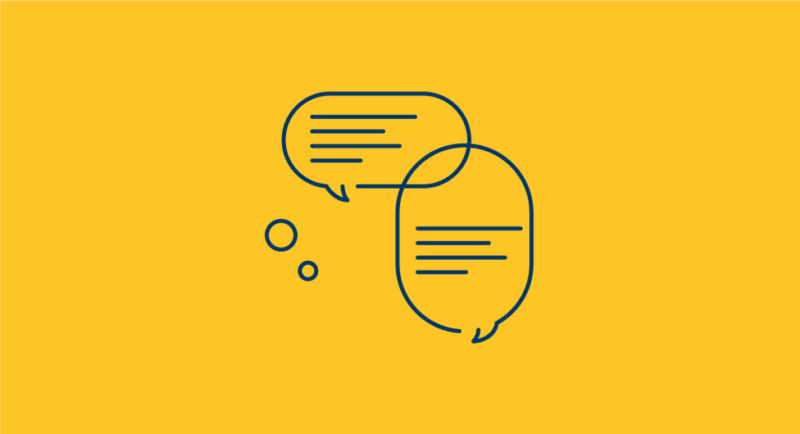 This is a guest post by Eric Mork, who is a participant in the National Enhanced Oil Recovery Initiative (NEORI), a stakeholder effort convened by GPI and the Center for Energy and Climate Solutions that is dedicated to expanding deployment of carbon capture as an energy, economic, and environmental solution for our nation.